Plans have been approved for the iconic Village Belle Hotel in St Kilda to undergo a significant $10m redevelopment in 2016. The project will see the hotel transform into a double-storey winter beer-garden facing the southern end of Acland Street, with adjoining apartments on the Smith Street frontage. The transformation coincides with City of Port Phillip’s future plans to upgrade the seaside precinct and turn the famous hospitality strip into an open- air plaza. The Village Belle Hotel is deeply embedded in the history of Melbourne with the original building erected in 1890. 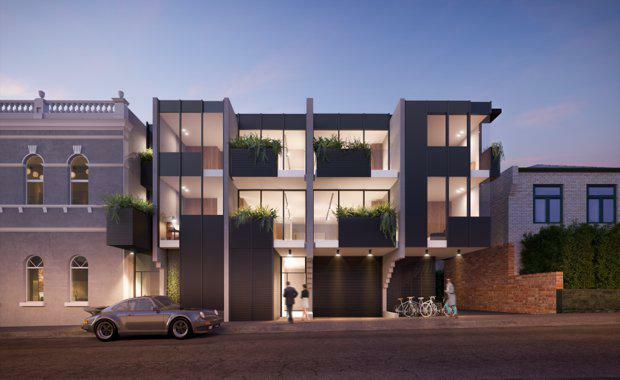 Technē Architecture and Interior Design, which has previously undertaken the successful redevelopment of The Prahran Hotel, The Bridge Hotel and The Terminus Hotel, has been engaged to undertake the project. Technē worked closely with a heritage consultant to create an architectural expression that sits harmoniously with the heritage pub. “Creating an architectural language that sits next to a heritage structure requires a great degree of care and finesse,” said Technē architect and team leader on the project, Tim Angus. Poor-quality interwar additions to the building will be removed to fully expose the heritage building. “It’s about achieving a balance between the old and the new,” said Mr Angus. The geometry of the site with two separate frontages presents an opportunity to create a unique, mixed-use development. Apartments will sit on the Smith Street side in line with the quieter, residential nature of the street. Both additions are balanced in scale and proportion to the heritage pub, though the architecture is markedly contemporary. Careful design by Technē was required to achieve the acoustic reduction between the pub and residential development. Each apartment will also feature a balcony garden, continuing the connection to the natural elements. The hotel will stay open throughout the duration of the redevelopment.